Summary: Violet Ambrose is grappling with two major issues: Jay Heaton and her morbid secret ability. 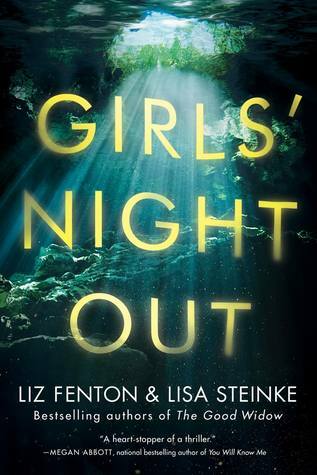 While the sixteen-year-old is confused by her new feelings for her best friend since childhood, she is more disturbed by her "power" to sense dead bodies—or at least those that have been murdered. Since she was a little girl, she has felt the echoes the dead leave behind in the world...and the imprints that attach to their killers. Violet has never considered her strange talent to be a gift; it mostly just led her to find dead birds her cat left for her. But now that a serial killer is terrorizing her small town, and the echoes of the local girls he's claimed haunt her daily, Violet realizes she might be the only person who can stop him. Despite his fierce protectiveness over her, Jay reluctantly agrees to help Violet find the murderer—and Violet is unnerved by her hope that Jay's intentions are much more than friendly. But even as she's falling intensely in love, Violet is getting closer and closer to discovering a killer...and becoming his prey herself. 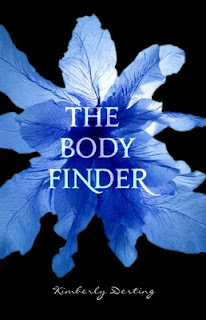 My Review: The Body Finder was a breathtaking debut by Kimberly. It had just the right amount of mystery and romance to make it into an unforgettable story. Violet, was a lovable and strong-willed protagonist. Her down-to-earth personality was easy to connect with. As a little girl, she discovered her ability to sense dead bodies, especially those who were murdered. The only people who knew about her disturbing "power" was her best friend Jay and family. Jay, was one of my favorite characters, I couldn't get enough of him. He was such a caring, goodlooking gentleman. Kimberly did an amazing job with this heart-warming romance. I even felt the same butterflies Violet experienced around Jay. The realism behind the romance definitely helped me relate with the characters on an emotional level. Now, the story was not all about love, we're talking about a serial killer here. The narration from the murderer gave me goosebumps. I felt his sick, twisted mind through his creepy words. The writing captured the essence of what a serial killer embodied, it was seriously priceless. As for the ending, wow, the whole time I was like, "oh my God, oh my God!" I'm so happy to have read this book, so far one of my favorites in 2010. I recommend it to readers who enjoy a perfectly crafted YA thriller. I cannot wait to read the sequel Desires of the Dead, coming in 2011. 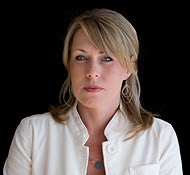 Kimberly Derting lives in the Pacific Northwest, which is the ideal place to be writing anything dark or creepy...a gloomy day can set the perfect mood. She lives with her husband and their three beautiful (and often mouthy) children, who serve as an endless source of inspiration for her writing. Great review, Eleni. I am seriously excited to read this book. I was going to wait for the paperback, but I think I'll just have to go ahead and order the hardback. I can't wait!! Good review. The YA field has so many talented writers gifting us with their books. This sounds like another excellent addition. Writing good suspense and romance without going over the edge is a talent. I look forward to reading this book. There are so many YA books I'd like to read and this is one of them. And would you look at that cover art! Wow! I'm definitely going to have to get a hold of this book. All I keep hearing are great things. Thanks for your thoughts! Great review! I'm excited to read this one.